This journey travels at a leisurely pace but some excursions and land arrangements may include considerable walking with some stairs and uneven surfaces. Cobblestones are used in many European cities, making walking more difficult. Stairs on the barge will be steep and narrow. Members should be in good physical condition, able to climb stairs and to enjoy walking excursions to fully enjoy this cruise. Barging along the scenic Upper Loire canal in the heart of France... can there be a more relaxing cruise experience? Each day we will spend several hours cruising along tranquil canals and waterways as we make our way leisurely between Nevers and Briare. Relax each morning with your coffee on deck. Explore the historic Berry province and treat your taste buds to local cheeses and delicate wines. 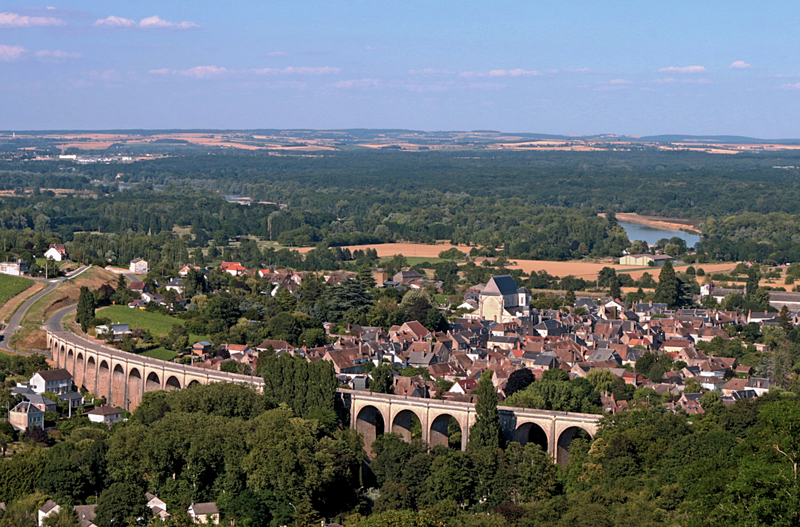 Enjoy the beauty of Sologne, a natural region filled with authentic terroirs and charming villages. Experience the heritage and history of France as we explore the magnificent Palace of Versailles, a jewel of architecture and riches. Our private barge offers an intimate environment, enriched by a dedicated crew that will fulfil our every wish. Enjoy first-class French cuisine and wine and a delightful ambiance as we relax on board. Virtually everything is included for a worry-free and fabulous vacation. Space on this cruise is extremely limited. Our first barge cruise sold out in less than 2 weeks. Maximum group size will be 22. Singles are on request. Join our waitlist by February 28, 2019 and secure your savings of $200 per person! Group members gather today for our overnight flights to Lyon, France. This morning we shall learn why Lyon is the culinary centre of France. Highlight will be our guided walk to Les Halles de Lyon Paul Bocuse, one of the world’s great markets, and its culinary treasures. This afternoon has been left free to explore until we will gather this evening to share our welcome dinner. 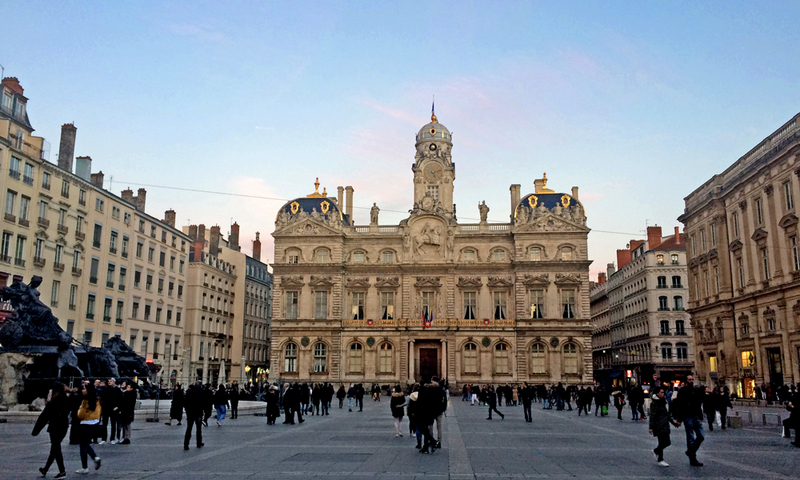 Our hotel is in the heart of the Island, old Lyon, and close to all the action. Today we have ample time to discover the joys of this wonderful city, from the interesting shops to a host of excellent cafes and restaurants and a variety of interesting museums and galleries. 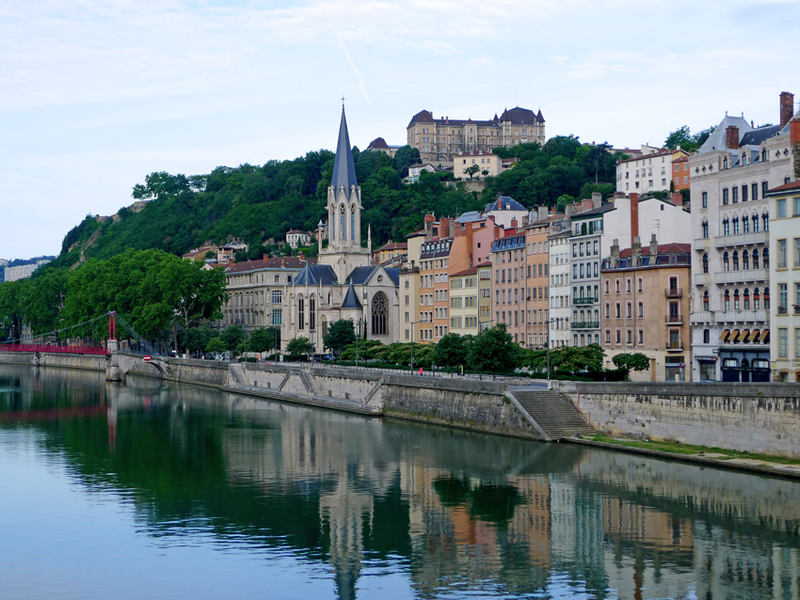 Stroll the narrow lanes of Vieux-Lyon, relax in the domain of Place Bellecour or discover the charms of La Croix-Rousse. In Nevers we visit Espace Bernadette Soubirous, the final resting place of the simple country girl from Lourdes who claimed to have seen the Virgin 18 times. In the city centre we find the Ducal Palace, the finest of the Loire's castles. Built on a hill, the palace overlooks the old town, Republic Square and a delightful park. Stroll through the remarkably preserved old quarter, with its half-timbered houses and picturesque streets to Nevers Cathedral, a National Monument dedicated to Saints Cyricus and Julitta. Enjoy a short visit to the pottery quarter followed by a tasting of local delicacies. 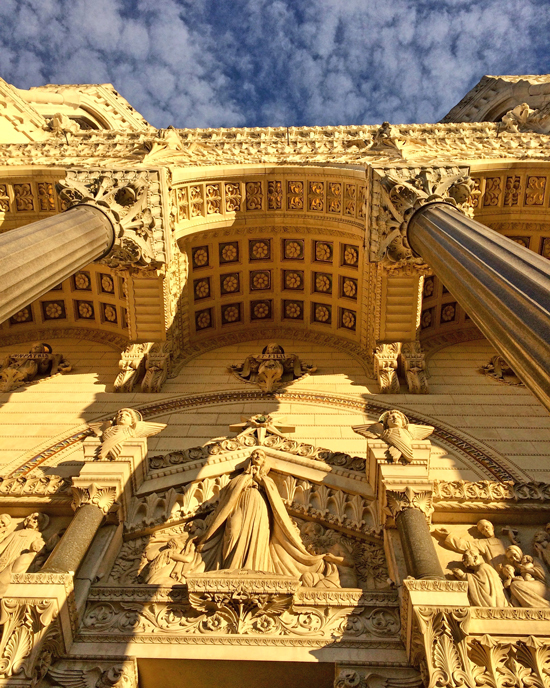 This afternoon, relax on board as we enjoy a scenic cruise to Marseilles-lès-Aubigny. 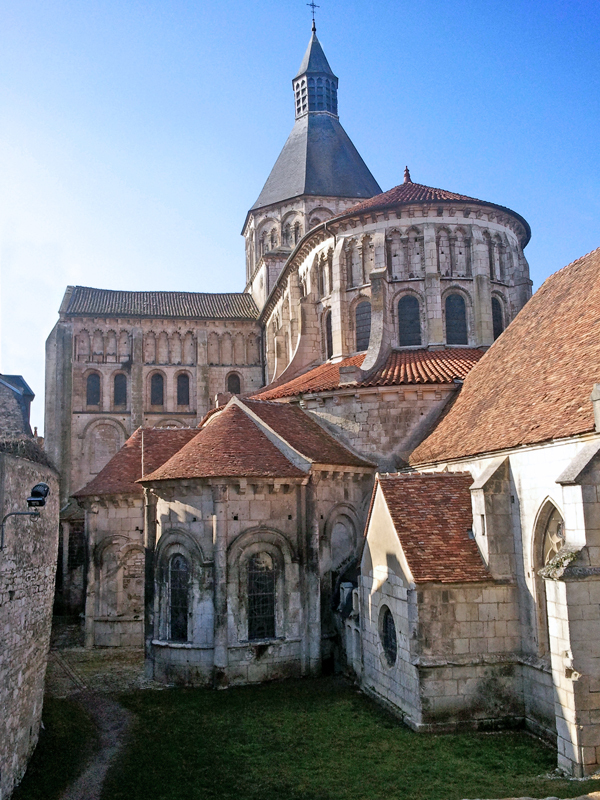 Fontmorigny Abbey is a privately-owned French historical monument, which showcases over 8 centuries of French religious heritage and features outstanding contemporary stained glass windows. Continue on to Apremont-sur-Allier known for its magnificent floral garden. Classified as one of France’s most beautiful villages, this small medieval jewel is set on the bank of the Allier River. Enjoy stunning views of the castle overlooking the village or join a pleasant stroll by the Allier River. 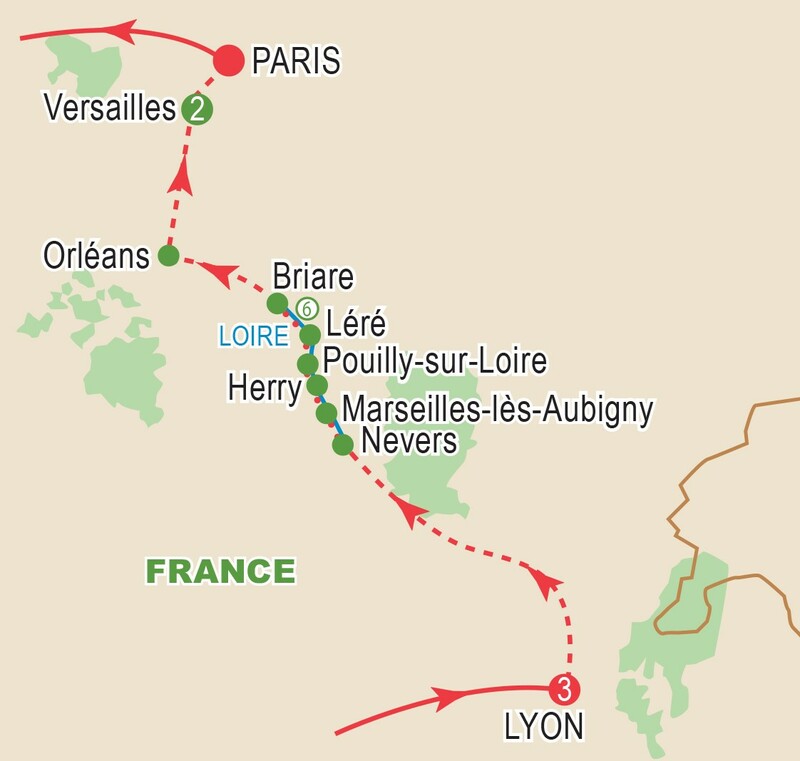 Later, as we cruise to Herry, we can enjoy the beauty of the Val de Loire Natural Reserve. From Herry, we visit La Charité-sur-Loire and its Clunisian priory, a magnificent UNESCO World Heritage Site. Later on, we will visit a farm located in the scenic countryside of Burgundy, where we will experience the rustic charm and authenticity that can only be found in France. In the picturesque town of Pouilly-sur-Loire, we will visit the Tour du Pouilly-Fumé, a fascinating wine-tourism centre. Overlooking the river, the vineyards enjoy a microclimate and topography particularly well-suited to Sauvignon grapes. This ideal combination has provided the famous Pouilly Fumé wine with remarkable characteristics worthy of its international reputation. Visit the vineyard and enjoy a tasting in the cellar. Afterwards, we will rejoin our ship in Ménétréol-sous-Sancerre and cruise to Léré. Explore the medieval hilltop village of Sancerre set in the historic Berry region overlooking the gorgeous Loire Valley. Follow the Fil d'Ariane, a route that takes us past the old wine-making neighbourhoods, bakeries, fascinating buildings, and lovely art galleries. The Fief Tower (significant stairs to climb) is the only remaining tower of the 14th century medieval castle and offers breathtaking views of the valley. Later, at a goat farm we will learn of the cheese-making process. Enjoy a tasting of trademark cheese and local Sancerre wine. This afternoon, we cruise to Briare, passing over the unique Briare Aqueduct, once the world’s longest navigable aqueduct. Tonight, enjoy a festive gala farewell evening. 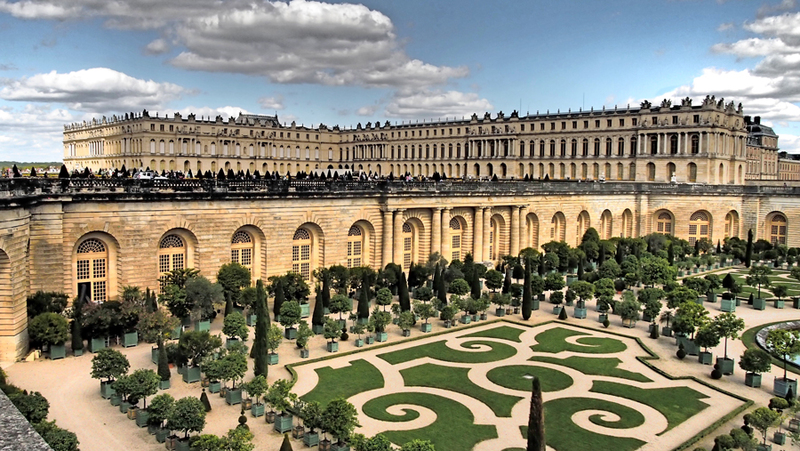 Enjoy a full day exploration of the Palace of Versailles and its beautiful gardens. This 17th century palace spreads over 800 hectares. A UNESCO World Heritage Site for almost 40 years, it was first King Louis XIII’s hunting lodge before his son, King Louis XIV, transformed it into a palace containing 2,300 rooms. One of the most remarkable rooms is the Hall of Mirrors showcasing 357 mirrors. This is also the room where the Treaty of Versailles putting an end to World War I was signed. All too soon our journey comes to an end as we transfer to Paris and fly home to Canada. The ms Déborah (built 2016) has three decks and 11 compact and efficiently designed cabins, each about 100 square feet. All staterooms have a window, flat screen TV, radio, telephone (internal calls only), safe, and compact bathroom with shower. Cabins are on the lower level, with free Wi-Fi and air conditioning/heating. A spacious lounge area with bar, separate dining room, and open terrace (with tables, chairs with umbrellas and a hot tub) can be found on the main deck. The top deck is open with comfortable lounge chairs. Small bicycles are available for use by all guests. There are 5 dedicated staff ready to take care of our every need - captain, cruise director, chef and crew. Rates are per person based on sharing an outside twin cabin. See Deck Plan for more information on available staterooms. Singles are extremely limited and on request. Cruise price is based on sharing a twin-bedded cabin with window and private bathroom. Prices are based on a minimum 20 members and on rates, taxes, and fees effective July 2018 and are subject to change due to factors beyond our control. Book and deposit by February 28, 2019 and save $200 per person! Prices DO NOT INCLUDE the cost of insurance which is available and is highly recommended. Premiums vary with the cost, length of the trip, and the traveller’s age. For passengers up to and including 74 years on departure date, premiums will range from $280 to $486 pp plus applicable taxes. Cost supplements for travellers aged 75-85 will range from $186 to $404 pp plus applicable taxes. This insurance is effective from the date of purchase and carries limitations on pre-existing medical conditions. Clients 86 years and older and/or clients residing outside Ontario, please contact our staff for procedures. Please discuss your insurance coverage prior to booking. Refer to our Terms and Conditions for more details.